Looking to satisfy your appetite for Lebanese fare? 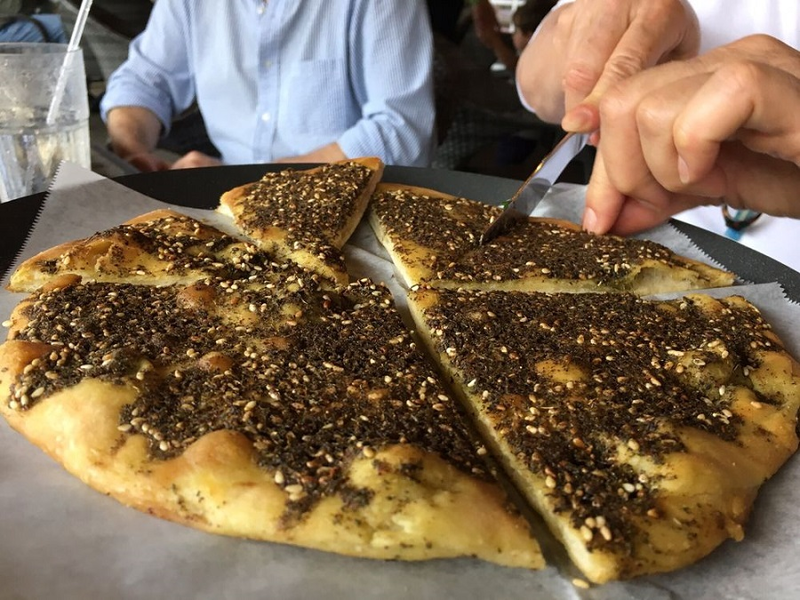 Hoodline crunched the numbers to find the top Lebanese spots around Houston, using both Yelp data and our own secret sauce to produce a ranked list of where to fulfill your urges. Topping the list is Sawa Restaurant & Grill. Located at 16608 El Camino Real in Clear Lake, the Mediterranean and Lebanese spot is the highest rated Lebanese restaurant in Houston, boasting 4.5 stars out of 146 reviews on Yelp. This restaurant serves traditional Mediterranean fare like pasta, hummus, kabobs, gyros, shawarma and kebbeh, as well as huge salads. Can't decide? Sink your teeth into the sampler combo platter, which includes loads of tabouli, hummus, kibbeh, grape leaves and falafel, all served with pita bread. For vegan diners, the spot offers ciku stir fry, with the meat replaced by almonds. Yelpers raved about Sawa's frozen smoothies and their house-made tzatziki sauce. 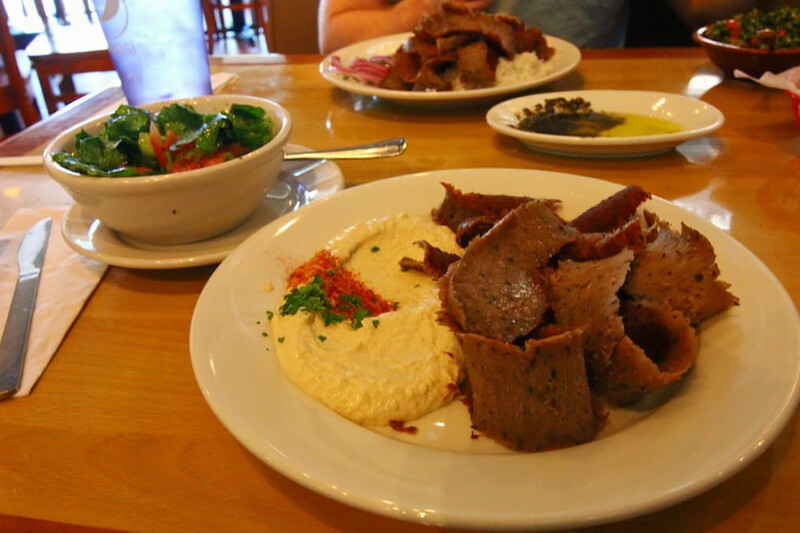 Mary'z Mediterranean Cuisine, located at 4500 Washington Ave., Suite 200, in Mid West, is another top choice, with Yelpers giving the Mediterranean and Lebanese spot four stars out of 189 reviews. This family-owned restaurant has been around since 2005, with two other locations around Houston as well. The menu includes salads, sandwiches and traditional entrees, along with a long list of appetizers like maqanik, quails, foul moudammas and sujok. While you wait for your food, you can wander out to the patio area. In fact, they offer a special that includes hookah (they have more than ten flavors to choose from) and a bottle of wine. 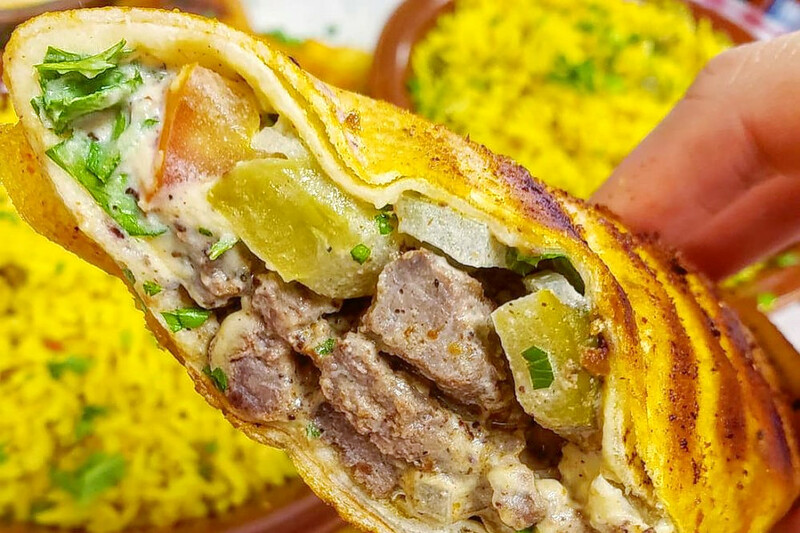 Petit Cafe Mediterranean Grill, a Greek, Mediterranean and Lebanese spot in Eldridge / West Oaks, is another go-to, with four stars out of 167 Yelp reviews. Head over to 1250 Eldridge Parkway to see for yourself. This spot offers salads, wraps, burgers as well as beef, chicken and seafood kabobs. Start off your meal with the Baba Ghannouj, spinach pie and grape leaves or a vegetarian sampler. And don't leave without trying the homemade creme brulee. Petit Cafe sometimes even has live music for diners to enjoy while eating. Over in Mid West, check out House of Kabob, which has earned four stars out of 134 reviews on Yelp. 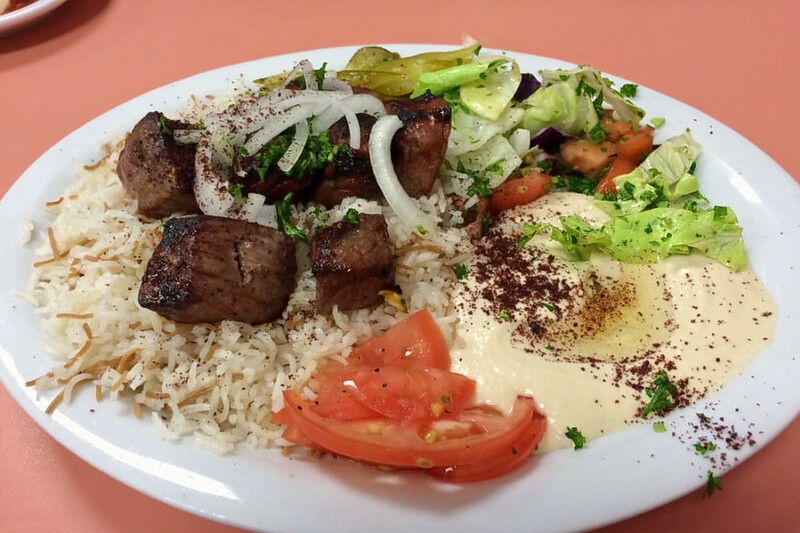 You can find the halal and Lebanese spot, which offers kebabs and more, at 6433 Westheimer Road. House of Kabob lives up to its name, offering seven types of meat on a skewer. But it also has a full menu of Mediterranean staples, like gyros, falafel, shawarma, hummus and salads. Yelpers can't seem to get enough of House of Kabob's spicy garlic sauce. Kevin H. wrote, "That stuff is addicting." Last but not least, there's Barbar Mediterranean Grill, a Mid West favorite with four stars out of 84 reviews. 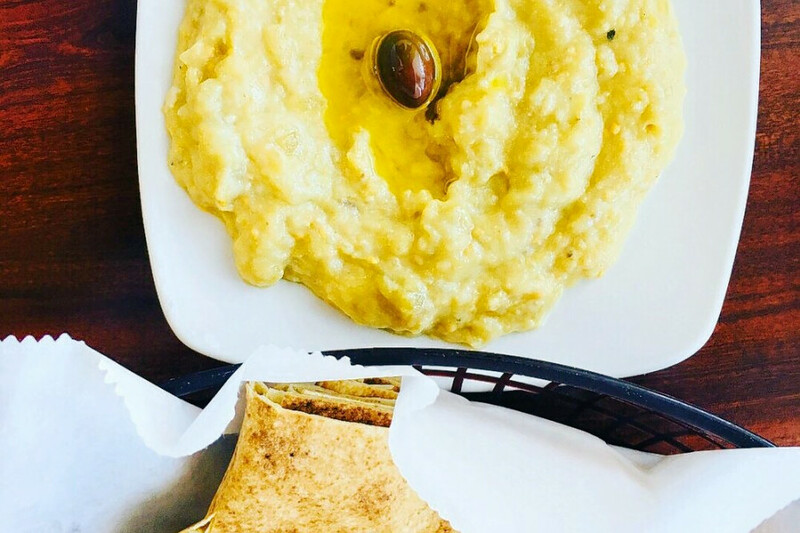 Stop by 7917 Westheimer Road, Suite B to hit up the Mediterranean and Lebanese spot next time you're looking to satisfy your cravings. 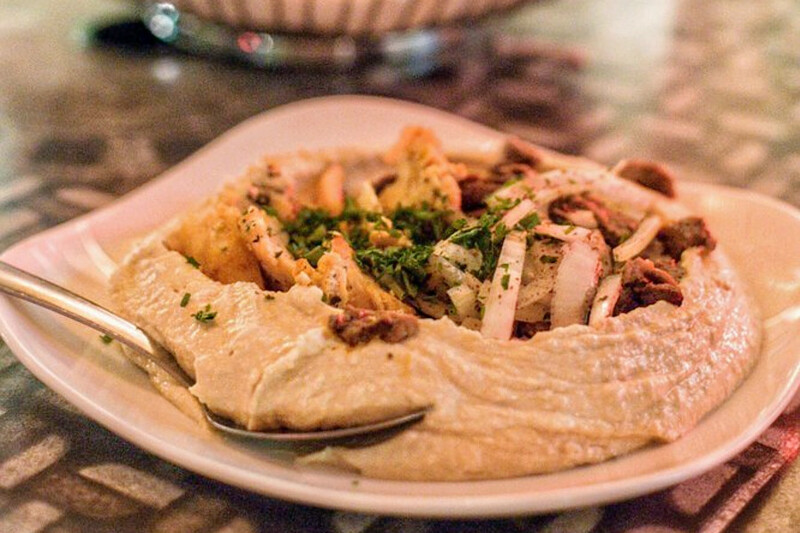 This spot offers traditional fare like kabobs and shawarma, tabbouleh and hummus. The menu also includes a large selection of fresh fruit juices. Going with a group? Try the family tray, suitable for four to six people. It includes eight skewers, three kafta, three chicken tawook, two beef kabab, hummus, baba ghannouj, fries and rice.